The big bang postures a big question: if it was truly the cataclysm that blasted our cosmos into reality 13.7 billion years ago, what sparked it? A group of three researchers at the Perimeter Institute for Theoretical Physics and the University of Waterloo suggest that the big bang might be the three-dimensional "mirage" of a collapsing star in a universe deeply different than our own. The event horizon of a black hole — the point of no return for anything that falls in — is a sphere-shaped surface. In a higher-dimensional cosmos, a black hole might have a three-dimensional event horizon, which could seed a whole new universe as it forms. So technically it might be the time to bid the Big Bang bye-bye. 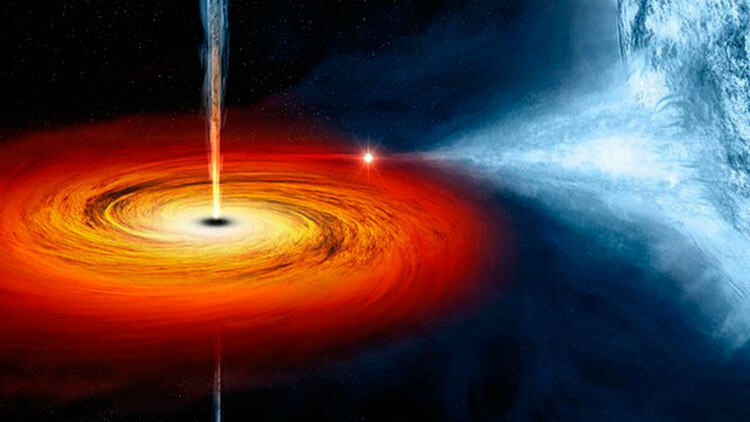 Cosmologists have proposed that the Universe formed from the wreckages expelled when a four-dimensional star collapsed into a black hole — a situation that would help to clarify why the cosmos appears to be so uniform in all directions.